Fugitive Dust is the term for the dust that gets into our air or water as a side effect of everyday actions or sources such as cars, construction vehicles, agriculture, and outdoor storage piles. These dusts, called ‘particulate matter’ are a pollutant and have a serious negative effect on our air quality. Industrial sites are often a main source of these fugitive dusts as many heavy vehicles move around sites and track particles onto the road. Other traffic then moves the dirt around and into our air and water. This dirt is called ‘drag-out’ and it can get especially bad on sites with open storage piles and dirt roads. While things like vehicle exhaust and tire wear also create nasty dusts, the impact of drag-out is very easy to prevent. 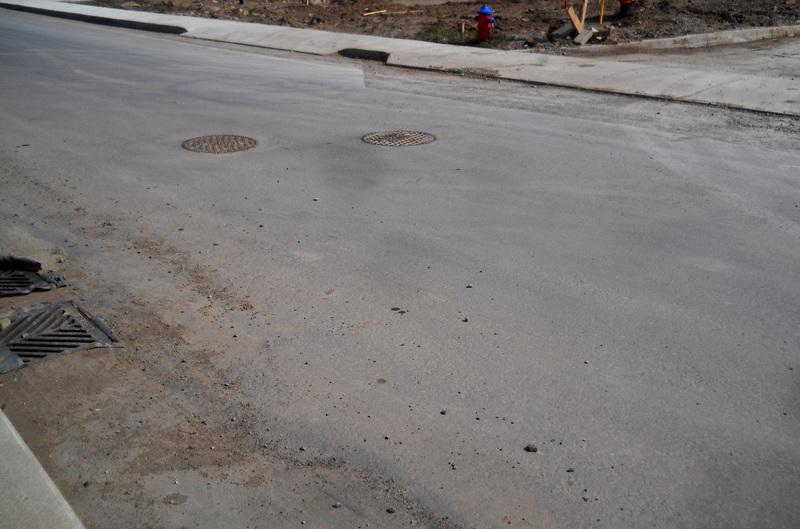 There are many steps industrial sites, such as construction zones, need to take to decrease the impact of dust on our air quality such as covering supplies and washing vehicles before they leave a site. It isn’t just a suggestion, it’s the law. Municipal By-Laws forbid the tracking of mud, soil or building materials on to public roads and The City can fine violators for costs to clean up the mess. You can also find more about this topic, and lots of other information about air quality in Hamilton, from the CleanAir Hamilton website.